Imparate a creare grafica Web con canvas in un'ora! Imparate a programmare XML in un'ora usando SVG! Is WWW the ideal support for scientific visualization? Fractal images on Internet Per gli amici italiani : perche' la mia home page e' in inglese. [Updated March 2018] Five years have passed since retirement. Thanks to those who still read my Web pages. In these five years a lot of changes: I do not work anymore, I moved to a new house, I have changed town and region. From Bari in the heel of Italy I moved to Follonica on the Tyrrhenian coast of Tuscany. Tuscany is very beautiful and visiting her wonderful places makes me happy . Needless to say, I also have a great nostalgia for Puglia and Bari and above all for Geneva where I worked at Cern for forty years. But I must also say that it gives me great joy to be able to have a walk every day on the morning on the wonderful beach of Follonica just in front of the Elba island. For an hour or two, especially in winter without tourists, it seems to be in a remote island of the seas of the South. I am still very interested in science and above all the evolution of computers. I keep working on this website just to get a concrete idea of ​​how Internet is changing. [Updated June 2012] Some of you may have noticed that this page is no more on "ba.infn.it": well the time of the big change is about to arrive. In less than a year I will RETIRE! Time to reach some new friends. Time to enter in the brave new world of social networks. Yes I am on twitter now as @pinozito and on facebook. In the last few years Internet has changed a lot and it is becoming even more interesting. Also outside Cern and university the exciting travel started with T.B. Lee only 20 years ago continues reshaping our brain and our lifes. The move outside the "ivory tower" required a big effort but I was lucky to get the help from the webmasters behind cicloturismo that I thank with this link. Also they got me acquainted with the crazy world of Seo. [Added July 2003] The bad thing about programmer's life, is that everything keeps changing. The good thing is that you never get bored. And that now you have all the world ready to help you. This is nice when you have to start again doing old things but with new technologies. For example monitoring the CMS apparatus on the computer Grid with a Web service using Xml. I have mastered Xml enough to write a small faq (in italian) this Xml or transforming online information in a single database(in italian) and learn xml programming using SVG(in italian).Web services and Xml are by now well known technologies:but what about Computer or Computational Grids. Anyhow I have started this CMS monitoring with Web services to clarify the situation. Here is a first draft of a paper presented to Chep04 , IEEE NSS and TNS on Tracker monitoring with Grid services based on a visualisation tool. The next iteration is this Test Of Distributed Data Quality Monitoring Of CMS Tracker presented as a poster to IEEE NSS 2005, Monitoring CMS Tracker with a SVG map( presented to RT2005) ,Web access to CMS data with XML and SVG (in italian). [Modified April 2009] The Lep accelerator in Cern, where my previous experiment Aleph run, has definitively closed at the end of year 2000. The detector itself has been dismantled. But the accelerator tunnel will host now a new more powerful accelerator LHC, where my next experiment CMS will be held. CMS is a detector big like a 3 storeys building that will be assembled in a cave 100 meters under the Jura mountains. LHC is in a 27 KM circular tunnel and will provide the two beams of protons whose collision will be "photographed" by the "camera" CMS.I am only one of the around 1800 people collaborating to the experiment. I am starting appropriately with this Old fart guide to CMS software.CMS will process most of its data on Linux pc farms. This means that we should become expert in the use of Unix since we have to set up these farms. This Unix and Zen(in italian) is a starting point in this direction. Then we have these two documents that describe my work now in the collaboration:CMS Tracker and RPC Chambers Visualization. On this item I am collaborating with Dr. M. Mennea working for her Ph.D. Thesis. Here are presentations of the work to the CMS collaboration:tracker1, tracker2, tracker3, implementation, tracker visualization home page,rpc. A thesis by Physics student A.Regano has also been done on the same argument.See also this diary of images , Tracker geometry check , list of bugs , things to do,milestones 2004-2005, tracker visualisation paper draft,cms contributions to chep04,Rome2004 IEEE NSS/MIC Iguana Wiki,Cms Tracker Visualisation Tools. [Added January 2000] The commercial success of Internet has produced a big interest on learning programming skills.To our students it is clear that new jobs in future will arrive mostly from Internet. For this reason I am starting a new and more complete programming course on Java with this Java 2 and its use in the simulation of Physics experiments(in italian). This course will be followed by another short course From Java to C++ (also in italian), on learning C++ for Java programmers. This is ,from a didactic point of view, the best way to teach C++ since it is too complex to be learned as a first language. [Modified March 2005] I am working on didactic use of Java applets and dynamic html. 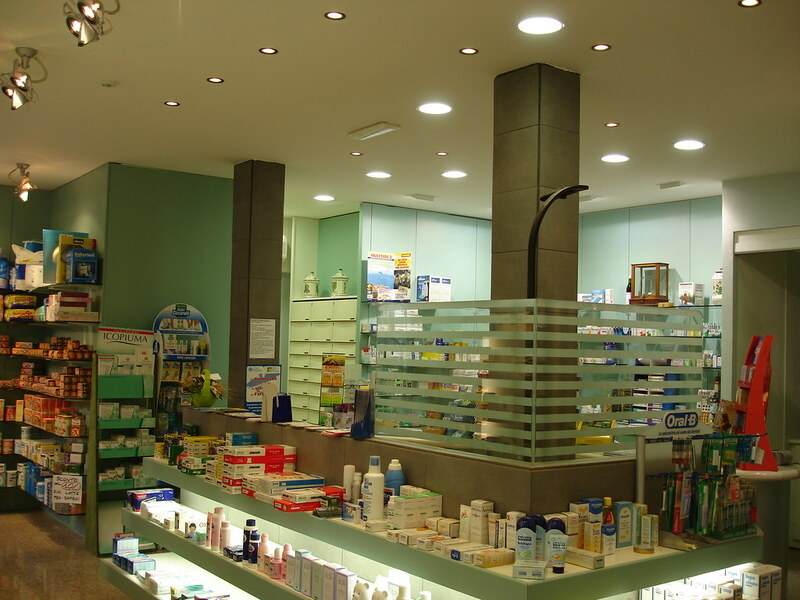 The work is carried out with the help of dr. C. Evangelista. It has produced by now two theses. The first one on this topic by physics student Maria Mennea who has completed her thesis . The second thesis was on this topic and was carried out by physics student Rossana Piccolo. The thesis can be found here. A third thesis by student De Luca Giuseppe has been done on physics of sight. Here you find instead some ideas about other possible theses : Physical concepts presented with streaming video and Java applets and Creation of a online interactive scientific museum and of a virtual laboratory on CD-rom(in Italian).Leonardo:Museo Scientifico Interattivo is being developed following these ideas. I have also set up a a web accesses counting system to have some feedback on the use of the didactic material on Internet. Among other things I have explored the usefulness of scriptable applets in this Introduction to linear cellular automata (in italian). The World Year of Physics is behind this new project Fisica 2005 that I will present in this seminar(in italian) and in a paper sent to m-ICTE2005.Also presented to Comunicare Fisica 2005 and to be published in the Frascati Physics Series..
As a spinoff of my XML study, I am also investigating on how to use SVG for educational purposes. The database technology can help also traditional Web publishing by allowing the creation and maintenance of hundreds of HTML documents. I am starting to explore these possibilities and the first results are this Project Fractal Database and the Internet Fractal Database a list of fractal galleries and images on Internet. [Updated October 1998] My personal contribution to a course on Web for INFN staff is a document about The Web and its search engines and a Test to get the Internet surfer's license(both in Italian). For the course on Office Automation for INFN staff I have instead prepared an introduction to Internet through the use of the browser(in italian) and the project fractal database consisting in the creation of a hypertext of hundreds of pages driven by a Filemaker database. In this exercise I have tried to show how you can use Filemaker to produce a big hypertext(of the size of a CD-rom) on some subject. If you have Filemaker and are curious , you can find here the database used to support the hypertext. [Added July 1997] When you write about something on the Net you can just set up a list of links more or less commented, or you can write something completely original. Both approachs seem to me unsatisfactory:in addition with links we have the problem of link rot setting in slowly. I am trying to write about symmetry using a new approach inspired by the Greenaway Stairs exhibit . 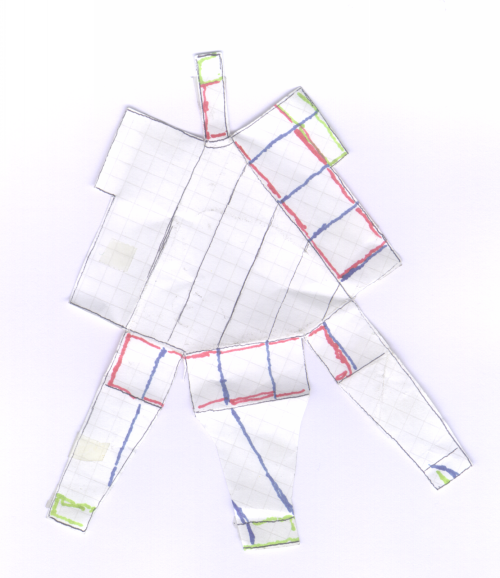 I am trying to build a kind of device that enables the reader (and me) to learn about symmetry. Externally it shows up as a table a 100 small images numbered 1 to 100. These images are used only as icons to link to a search in AltaVista about some subject relevant to symmetry. Arguments searched are mirror, Escher, tessellation, crystal, groups, transformation, etc. In this way the problem of link rot is solved since you do every time a search on the AltaVista database that is updated regularly. Then I link to each picture/subject an outstanding document from Internet concerning the subject plus a short comment of mine about the subject. This is connected to the number under the picture and shows up as a Netscape frame with my text on top and the document filling most of the window. For example this is the frame concerning the subject mirror.The idea is that when all the 100 subjects are connected to these commented documents (up to now only a few are linked) you will be able to do a quick slide show on symmetry with my comments forming a glossary of the most important concepts about symmetry. In future I can try to add more original and/or Internet material to the exhibit but leaving always it as a work in progress. I hope the new dynamic HTML will give me new ways to make this device more effective. Java,the next step in the evolution of computer programming! [Added January 1997] I must confess that, altough I have a degree in Physics and I love Physics, I consider myself more a computer programmer than a physicist.I have done computer programming since 30 years, learning many languages , working on many,many computers. I have followed my profession during these paradigm shifts like structured programming, oop,etc... Since three months I am working with Java in a project to upgrade the "Hcal monitoring display" (a graphics program) by converting it to a Java applet and allowing its use from the Web (up to now you had to telnet through a X terminal). A paper about has been presented at the CHEP97 conference in Berlin. I gave also a seminar on Java in the Department. Here is the material used in the seminar(mostly in Italian).Instead in this other document "Learning Java" I have some random material accumulated in the process of learning Java. I have also rewritten in java my Algorithmic Image Gallery.This was a good test to see what you can do right now with Java. I have also used for some time this applet as opening feature in this page.This has been replaced after a year by the mandala collage. My impression about Java? Internet will change many jobs, but in my opinion, it has alredy changed forever the computer programming profession with Java. The powerful concept that you don't have to worry anymore about which platform you have to develop your program: you develop it in Java and it will work on any platform, is another important step in our profession.Perhaps it won't be exactly the Java Virtual Machine that will implement it,but like HTML java is here to stay. [Added January 1997]I am a physicist and a computer programmer.There is a fascinating connection between computer programs and mathematical laws describing natural phenomena. Both have invariants. I must explain that an invariant is a a quantity that doesn't change during some physical process (for example energy). , you define a loop. Well,to each loop in a computer program is connected an invariant. This raises the intriguing possibility that invariants in physical laws are connected to the fact that also Nature like a computer, executes loops, whatever this means. To explore this fascinating matter I have set up a long list of questions with some attempts at answers. [Updated September 1996]I am fascinated by human memory. Do you know that Giulio Camillo during the Renaissance made plans to build a memory theatre Il Teatro della Memoria? This was similar to cyberspace. [Updated September 1996] This picture of mine was scanned from a photo in 1985 using a B/W videocamera connected to the Amiga computer. This is one of my many experiments in computer graphics.I have started with my doctoral thesis (in 1972!) whose topic was the display of histograms representing experimental data on graphics display IBM 2250. In those times this terminal was a monster that costed more than 100 Pentium PC today! Of course it could do a lot less than a PC today. I have continued to experiment with graphics since then using other computers like the Commodore Amiga. I have in this page the result of some of my explorations.For some time I have also played with a camera making prints of fractals.After a lot of trials I was able to find the right way to get a photographic print of the screen. This is described in a post to the mailing list fractint by Kerry Mitchell. I use a program of mine called ufattr to generate random formulas that produce this Gallery of fractal images. The method I use to generate these images is described in the paper: Drawing by accident. Using this method I have created a data base of around 50,000 dynamical systems formulas described in the document: Scanning huge numbers of events and in this other one: Is WWW the ideal support for scientific visualization. In this second document check especially the section on the dynamical systems data base. I maintain a directory of fractal galleries and resources on Internet. [Updated September 1996]This is the second year (hey the web is getting old!) that I give my Internet course to students,professors and other personal of the Department. This material (mostly in Italian) has been constantly updated to be used during the lessons. It is a five lessons minicourse and in the last lesson the students in groups do a (small) hypertext project. Hypertext literacy:an experiment with University Students in Mathematics. This has been presented to SIF96,the annual congress of italian physicists.I am mostly interested in the use of WWW to teach Physics: this was the topic of a seminar I gave at the beginning of 1966. The document Ipermedia sulla rete Internet (in italian) has by now only a "historical" value, since it was written in 1994. Net Diary or how Internet changed our life is an ever growing collection of small essays on Internet. [Updated September 2004] My old home page in italian and english contains a short CV, my photo plus some links to research papers. It is also possible to search for my pubblications on spires ,cern ,Google Scholar , scirus and scopus. 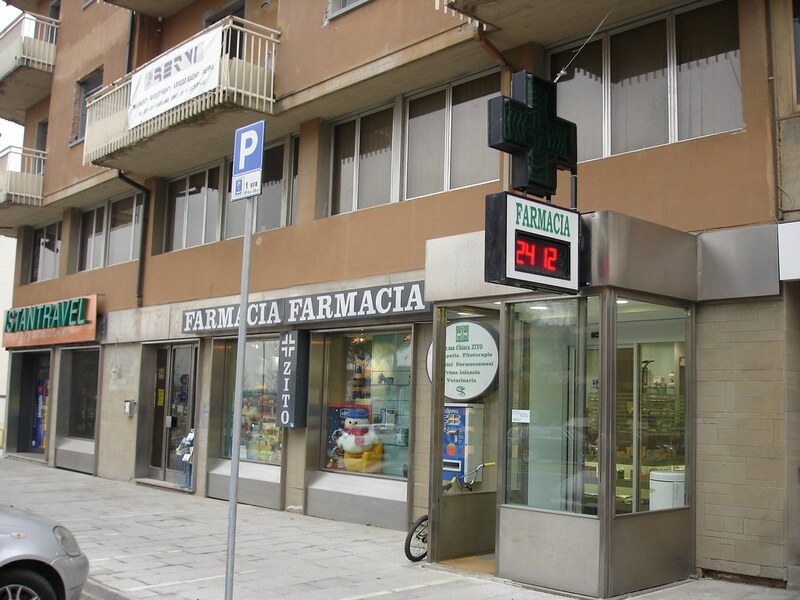 Web pages from members of my family: Lavori di scienze eseguiti dagli alunni del Corso G, Farmacia Chiara Zito a Empoli : facciata,interno. [Updated June 1995]As a physicist I am fascinated by randomness. Isn't the task of science to find patterns in the apparent randomness of the nature? This is done by finding equations that would allow us to foretell the future. These equations make possible the launch of ,for example, the Galileo to Jupiter. It came as a big surprise when it was discovered that the same equations can produce random numbers. By clicking here you get any time a different image. This is taken randomly from the Algorithmic Image Gallery. Always on the same theme I have a random background generator for you to enjoy. I have also created a Big Table of Everything Random containing links to Internet resources that generate random material. [Updated January 2000]There is no better way to understand difficult concepts than trying to teach them. In these short essays written in various occasions, I try to explain some difficult concept concerning my work in terms which can be understood by a lay person.